Back in September, I took part in my first EVER celebrity gifting at the exclusive, invite only, GBK Gift Lounge honoring the nominees and presenters of the 2015 PRIME-TIME Emmy's. this was my first time ever participating in a celebrity gifting, and i really wanted it to be a huge success! I wanted to gift something that embodied what boy cherie stood for- delicate luxurious designs with colorful and unique gemstones. After 2 months of brainstorming, I came up with the Emmy Necklace (of course named after the PRIME-TIME Emmy's). it was perfect. The SIMPLICITY of the gold layered chain paired perfectly with the marsala garnet gemstones. perfect for fall! 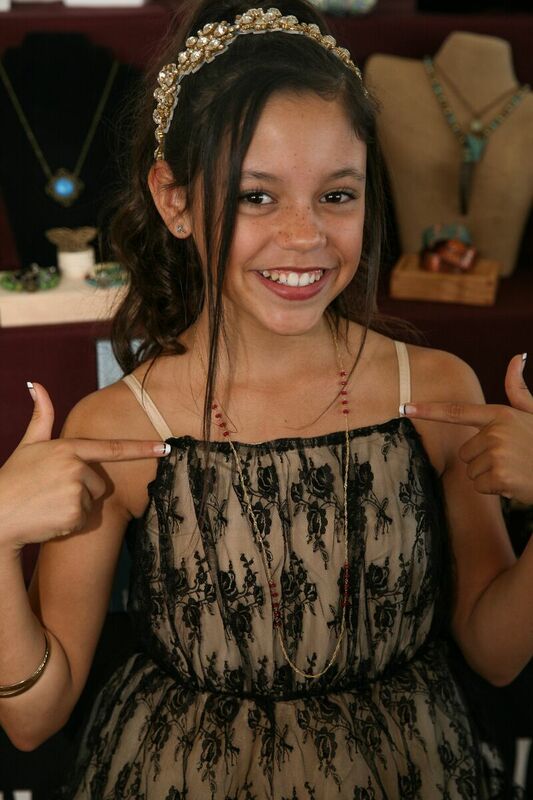 The best part about this experience though was having Boy Cherie jewelry on display for celebrities to actually try on! It was tough deciding what pieces to display and how to display them. I decided to keep the display simple, and i chose three of my favorite necklaces - the Summer necklace, the Iolite necklace , and the Horn necklace. The adorable Jane Ortega from Jane the Virgin! Keith Powers from Straight Outta Compton. Is it just us, or does the horn necklace go perfectly with his outfit? Keisha Castle-Hughes from Game of Thrones sporting not one, but all three Boy Cherie necklaces. This whole experience has been absolutely amazing. i am truly thankful to The Artisan Group, GBK, and all the celebrities who attended the event. Events like these are such a great way to help small businesses like mine get our brand out there!